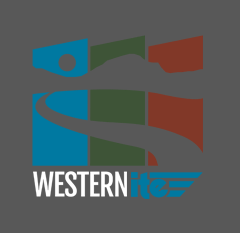 ITE Western District has several opportunities for students to participate with transportation professionals, have travel expenses paid to attend annual meetings, and compete for awards on an annual basis. 2. To provide a means for the Institute to recognize outstanding accomplishments in such activities. The winner receives a plaque, $1000 for the chapter’s general fund and for travel to attend the Western District Annual Meeting. Up to two student chapters will receive Honorable Mention and get a certificate. The purpose of the Student Paper Award is to encourage student members of the Western District to conduct and report on independent research and investigation of transportation engineering subjects and to provide a means for recognizing outstanding accomplishments in this area. The winner receives a plaque, a $500 award, as well as a free meeting registration. The District will forward the winning paper on to ITE Headquarters for consideration in the International Daniel B. Fambro Student Paper Award competition. The purpose of the Student Website Award is to encourage student chapters to document their activities and accomplishments and promote the benefits of ITE membership. The winner and honorable mention receive certificates. James H. Kell Student Competition Award is intended to give student members attending the annual meeting an opportunity to apply transportation and traffic engineering classroom knowledge to a specific “real-world” problem. The competition also gives students the chance to meet and interact with students from other schools. The District issues a request for proposals (RFP) inviting ITE student chapters to define and run the student competition at the annual meeting. The winning student chapter is awarded up to $1,500 to cover material costs and help defray travel expenses of students and their faculty advisor to attend the annual meeting. The District provides an additional $300 for the winning team at the conclusion of the competition held on Sunday afternoon prior to the Western District annual meeting. The purpose of these awards is to recognize both an undergraduate and graduate student who has shown exceptional dedication to the transportation profession, extraordinary enthusiasm for ITE and unwavering professionalism in transportation research or an intern position. The District recognizes one undergraduate student and one graduate student each year. The winners receives plaques, a $500 award, as well as a free registrations for the Western District Annual Meeting. The Western District Outstanding Educator Award recognizes an educator who has shown extraordinary creativity in teaching, taken exceptional measures to spark student interest in the transportation profession, provided unwavering encouragement for student endeavors or shown unequaled service to ITE. The Federal Highway Administration (FHWA) Universities and Grants Program is directly responsible for the administration of the Dwight David Eisenhower Transportation Fellowship Program (DDETFP). DDETFP awards fellowships to students pursuing degrees in transportation-related disciplines. This program advances the transportation workforce by attracting the brightest minds to the field through education, research, and workforce development. The DDETFP encompasses all modes of transportation. The Eisenhower Fellowships and Internships are some of the most prestigious awards in transportation and can amount to stipends of up to $2000 per month. The Western District hosts a Student Traffic Bowl at the Annual Meeting. All student chapters are welcome to participate. The winners receive the Western District Student Traffic Bowl traveling trophy, a certificate, and $1,000 in travel funds from the District and $2,000 in travel funds from ITE International to attend the International ITE Annual Meeting and compete in the Collegiate Traffic Bowl Grand Championship. Pre-registration is not required for participation in the Western District Student Traffic Bowl. In 2004, the ITE Western District created a Data Collection Fund to encourage Student Chapter involvement with the profession. This program is specifically aimed at creating interest in transportation through practical activities and mentoring. The District awards up to $5,000 annually for the Data Collection Fund, typically distributed in $1,000 increments. The purpose of the regional travel scholarships is to provide financial support for up to four (4) students to attend the upcoming ITE Western District Annual Meeting. The District will select one student from each region (North, East, South, and West). Please see the Regional Travel Scholarship Application to determine your school’s region. The recipient from each region receives a $500 travel scholarship.